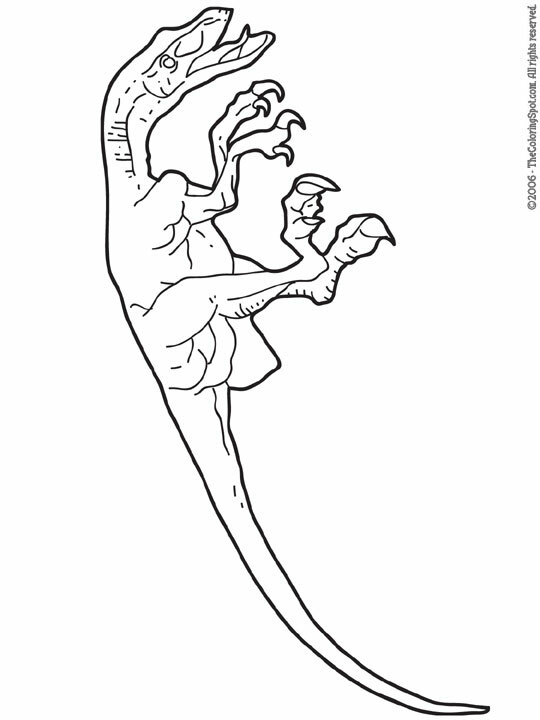 Velociraptor was a fast-running, two-legged dinosaur. They could reach speeds of up to forty miles per hour. They were only three feet tall with sharp teeth and a three inch retractable claw on each foot that it used as a weapon. It had a stiff tail that allowed it to make very quick turns.